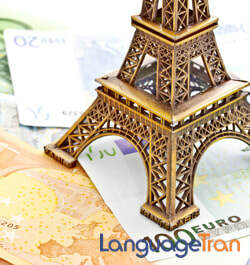 LanguageTran works with all file types into/from French, including marketing materials, contracts, technical manuals, medical and pharmaceutical documentation and many others. Translations often require exceptional accuracy. This is achieved by following stringent quality protocols that start by working with some of the best French translators in the industry and supporting them with the right infrastructure and management. LanguageTran has the human resources and the installed systems in place to guarantee that the translation work is accurate and error-free. We strive to offer our customers the best value which is a combination of high quality work, competitive prices, and effective cost-reducing strategies. LanguageTran does not lower costs by sacrificing quality. It is done using the latest in translation productivity technology and competitive pricing. All translations follow a series of proofreading and editing steps. We make sure that your translation communicates the precise message that was intended in the source document. Accuracy is extremely important, especially in legal and technical documentation. We are a translation agency that strives to translate your documents into effective communications text that speaks directly to your target user. Upon request, we can localize any translation to any French dialect. The right French Translation Service will help you reach the French speaking market by opening your markets and increasing your reach. Business owners, organizations, and individuals should take advantage of the opportunity to communicate with the 1.7 million French speakers in the U.S. and the 283 million French speaking people in the world. In addition, France has the third largest Internet usage in Europe and the number of users continues to grow.